Everything is on the line for the Denver Nuggets and the Minnesota Timberwolves on the final day of the 2017-18 NBA season. The winner between the two will head to the playoffs while the loser heads home to watch the NBA playoffs from their couch. Minnesota has not been to the playoffs in 13 years, which is the longest current streak in the NBA, and a loss to Denver tonight would make that streak 14 years long. Denver, on the other hand, is looking for their first playoff berth since the 2012-13 season, which feels much longer than four years ago. Now, with the first one-game matchup to decide who goes to the playoffs in 21 years standing between both Denver and Minnesota, the stakes are as high as they can get for a regular season game. It is absolutely critical for both teams to find a way to win. Nuggets’ head coach Michael Malone does not care how Denver continues to win. All that matters is that his young Denver team finds a way to steal a victory on the road and is awarded their first playoff berth of the Malone-era of Nuggets’ basketball. Malone is right. 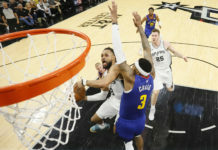 The challenge Denver faces is a massive one, but this is hardly the first time that the Nuggets have stared down defeat and somehow find a way to overcome seemingly impossible odds. There is a confidence growing in this Nuggets team that has not been seen since the franchise-record 57-win season four years ago. 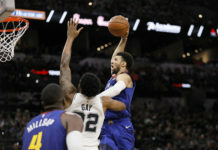 Now, counting the Nuggets out of a game can be a fatal misstep for any team Denver faces and the Nuggets are beginning to realize that. Denver is no longer playing the part of young and upcoming. Instead, the Nuggets are choosing to keep their trust in themselves and their teammates. That trust has led to a communal belief that this roster can hang with any team in the NBA on any given night. 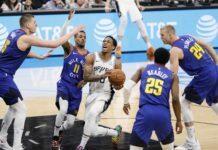 Now, as Denver transforms from a young team on the rise into a playoff opponent that nobody wants to see, the Nuggets are learning quickly how great they can be. “When we believe in our game and believe in each other, we are a different team and we click on all cylinders,” Jamal Murray said. The hard part now is channeling that talent into aggression and being able to dictate the flow of the game. For the Nuggets to find a way to come away with a victory in Minnesota against the Timberwolves, they will need to do exactly that for a full 48 minutes. Now, all the remains is just waiting for tipoff to see if this Nuggets’ team has what it takes to finish the season on a seven-game winning streak against seven opponents over .500. 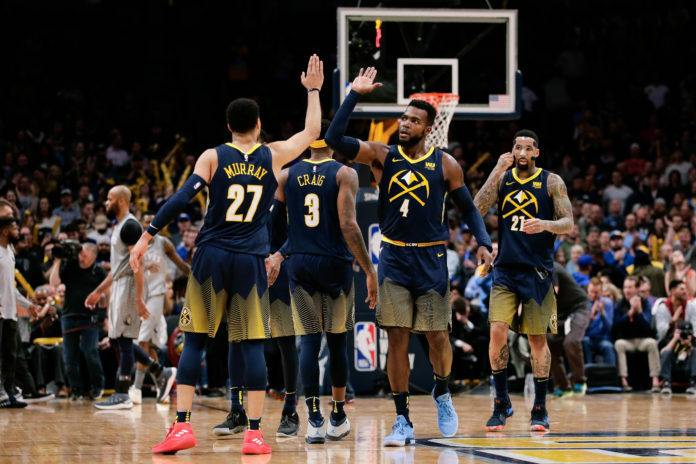 Every player on both teams know what is at stake, and this young Nuggets’ roster is chomping at the bit to prove themselves that much more and take the next step to becoming a playoff team. Just win; that is all that is left of the Denver Nuggets 2017-18 season. If the Nuggets win, they’re in the playoffs. What a massive step it would be to battle back from having their playoff hopes nearly dead in the water and still find a way to make the playoffs after finishing the regular season on a seven-game win streak.